Police are appealing for witnesses to serious assault. 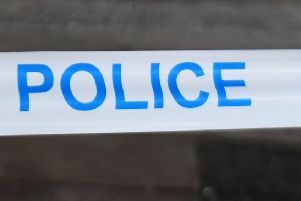 Police are appealing for information after a robbery at a shop in Glasgow on Saturday. Around 3.10pm, a man entered the premises of Usave Mini Market in Saracen Street and threatened the 39-year-old male staff member with a knife, demanding money. The suspect then made off with a three-figure sum of cash, and was seen running along Closeburn Street. He is described as white, in his late 30s, of medium build, and wearing a dark hooded jacket and dark jogging bottoms. Detective Constable Chris Sneddon from the Community Investigation Unit based at Govan said: “I would appeal to anyone who was on Saracen Street or in the surrounding area yesterday afternoon, who may have witnessed the man described above acting suspiciously, to please get in touch.